After three years of relentless exposure via my co-host Craig, an international move, and the newly legalized ability to buy Cuban cigars outside the U.S., I have recently begun a foray into the available offerings. I’m neither well-versed nor experienced in this arena, but I suppose writing a cigar review is writing a cigar review. I don’t think I will reach a point of complete conversion from my normal Dominican and Nicaraguan standards, but have largely enjoyed those Cuban marcas I have tried. Today, I’m covering the San Cristobal de la Habana El Principe, a tiny little cigar that’s readily available and affordable in Santiago. Vitola details are listed at right in the sidebar. The El Principe is a fairly even, moderate brown color throughout with occasional slight mottling. The mottling typically presents around telegraphed wrapper bumps and handling marks. Veining in the wrapper leaf is modest. For all the examples I’ve smoked, the pack density has been acceptable to very good. Some have been slightly tighter than ideal but tolerable. The pre light draw provides hay like flavors with some sweetness. The aroma is almost nonexistent around the wrapper, with some leather at the foot. Almost universally, the first few puffs have been airy with some floral notes. As with other San Cristobal vitolas I’ve tried, the El Principe quickly transitions to a more refined sweetness – caramel like, for lack of a better descriptor. By the beginning of the second third, the cigar really comes into its own to my tastes. The early sweetness subsides greatly, revealing a core set of flavors that are more in the spectrum of the “tropical spice” we so often speak of on Half Ashed. The flavors are bright, but not peppery. The spice I speak of is more akin to allspice than pepper. This will persist throughout the midsection. Some of the El Principes I’ve smoked have had a tendency toward a wandering burn, occasionally severe. When it does occur, it’s usually in the final portion. During this final stretch, the flavors intensify, but can become sensitive to overpuffing (perhaps due to this particular vitola’s diminutive size). A woodsy core with slightly vegetal flavor is common. 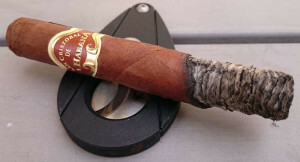 Overall, I enjoy the San Cristobal de la Habana El Principe. It pairs amazingly well with café Dominicano. 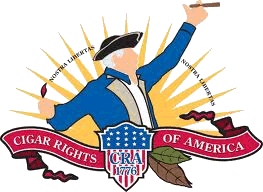 I think it is a very good cigar – and worthwhile around the $6.50US price point…if you’re a slow smoker. While there are a number of others I typically would reach for first, I’m not averse to keeping a few around They won’t change your life, but as an excursion into the Cuban market I’m glad to have stumbled onto them.